Are you a fan of the dashing Dobie? 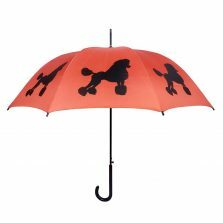 Then you’ll love this delightful Doberman dog umbrella. 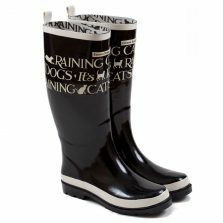 Or, if you know someone else who owns one of these wonderful beasts, why not treat them to our Doberman Umbrella as a thoughtful and unique gift? Are you a fan of the dashing Doberman? Then you’ll love this delightful Doberman dog umbrella. 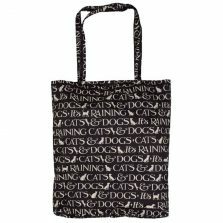 Its design features a fantastic 95 cm grey polyester canopy, with stylish Doberman silhouettes in perfect pink. At 86 cm in length, this walking style Doberman dog umbrella really is a good size and pretty good quality. With 8 strong, flexible fibreglass ribs, 14 mm steel shaft and a handy auto-open feature, you’ll be able to keep off the rain with ease. The Doberman Pinscher parasol has a chunky wooden crook handle, for a good comfortable grip. 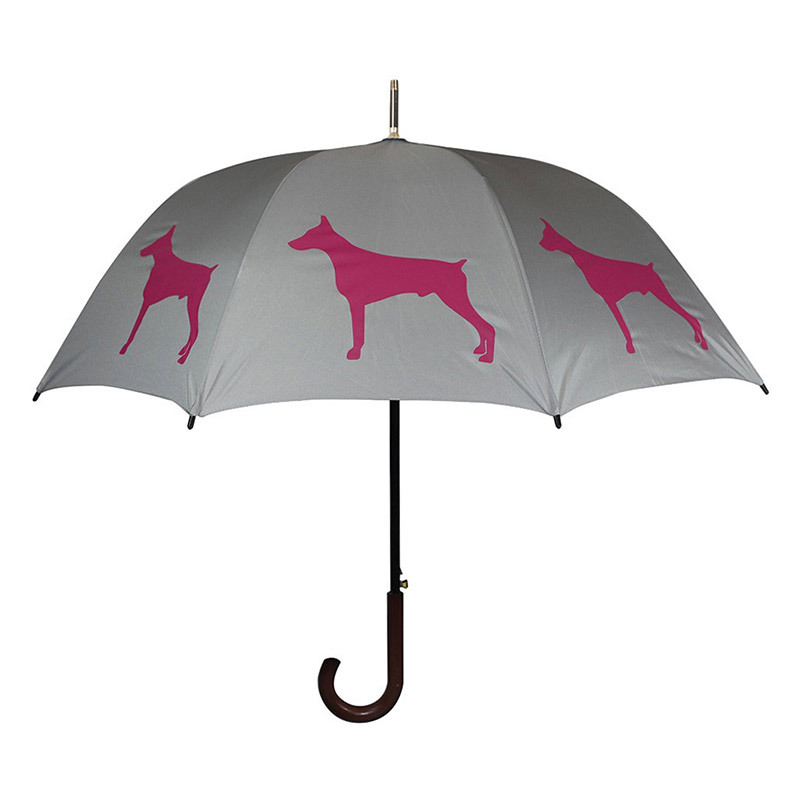 This super brolly really makes the perfect gift for any Doberman fan, even if your dog isn’t actually pink! Buy one now. You’d be barking mad not to! Not the one you’re looking for? 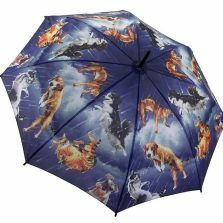 Check out the rest of our range of animal and art umbrellas!